We are temporarily located at 1190 Briarstone Drive Suite #2. At Mint Springs dentistry we offer a wide variety of dental treatments to achieve your desired perfect smile! At Mint Springs Dentistry, se habla Español. 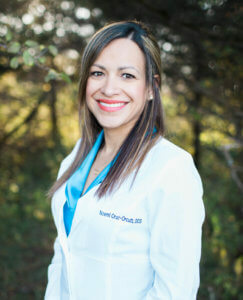 Dr. Noemi Cruz-Orcutt is also a Spanish Speaking dentist. La Dra. Noemi Cruz-Orcutt es una dentista que habla Español aqui en Mason City, IA y en North Iowa!! At Mint Springs Dentistry, our team of dental professionals in Mason City is prepared to answer all questions pertaining to your dental health and appearance. Oral hygiene, specifically brushing and flossing, are a vital part of your dental health. We can also answer your questions about the different dental specialties and explain the meaning of dental terms. At Mint Springs Dentistry, Dr. Noemi Cruz-Orcutt and her team provide complete dental care for the whole family; including general, cosmetic, and preventative dentistry; with expertise ranging from porcelain veneers to dental implants, dentures, crown and bridges. Dr. Cruz-Orcutt also has advanced training on TMJ. The team at Mint Springs Dentistry is known to provide excellent care in a compassionate manner, always putting patients needs first. Dr. Cruz-Orcutt is also a Spanish Speaking dentist. La Dra. Cruz-Orcutt es una dentista que habla Español aqui en Mason City, IA y en North Iowa! !